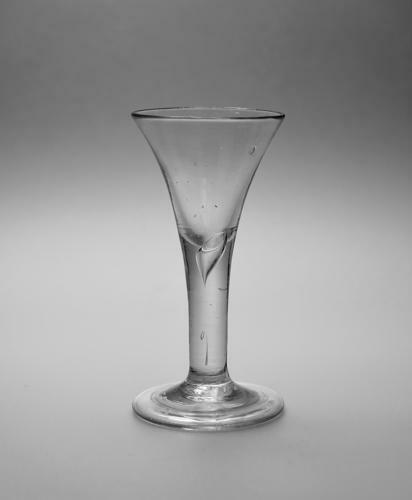 Plain stem wine glass C1750. Small plain stem drawn trumpet wine glass with air tear and folded foot. English C1750. Condition Very good with no restoration. Note: Quite naive in the making with a slight lean and inclusion.